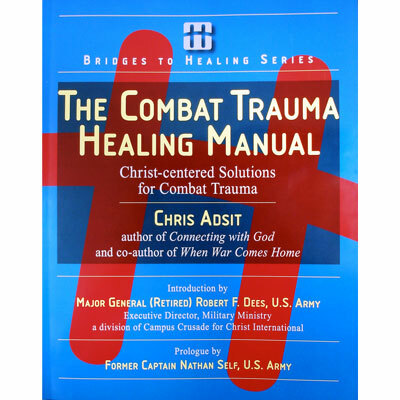 The Combat Trauma Healing Manual provides spiritual tools for struggles with Post Traumatic Stress Disorder (PTSD) that combine insights from the medical and psychiatric communities with the timeless principles of God’s Word. This is a great resource for anyone who has fought or served in the military. Nate Self is the former Ranger Captain who risked his life in Afghanistan in the battle of Takur Ghar (translated "Tall Mountain"), also known as the Rescue on Roberts Ridge. For his heroism Nate Self was awarded the Silver Star, the Bronze Star, and the Purple Heart. His story was featured on the front page of the Wall Street Journal, on NBC's Dateline, and in other books. He has been celebrated and examined as a model of exemplary leadership both in combat and in civilian life. Nate lives in Texas with his wife and their four children.